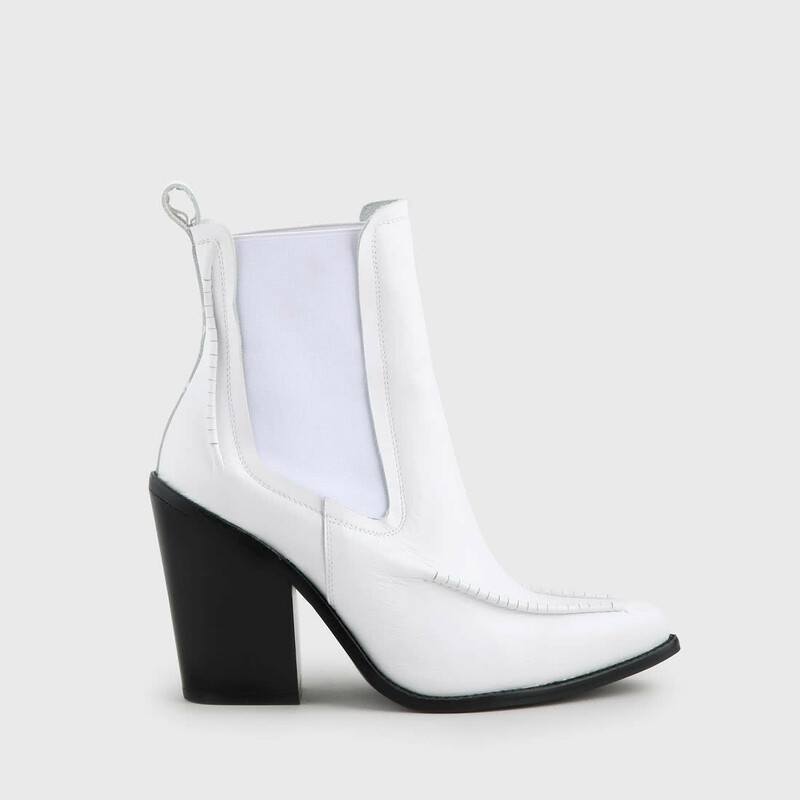 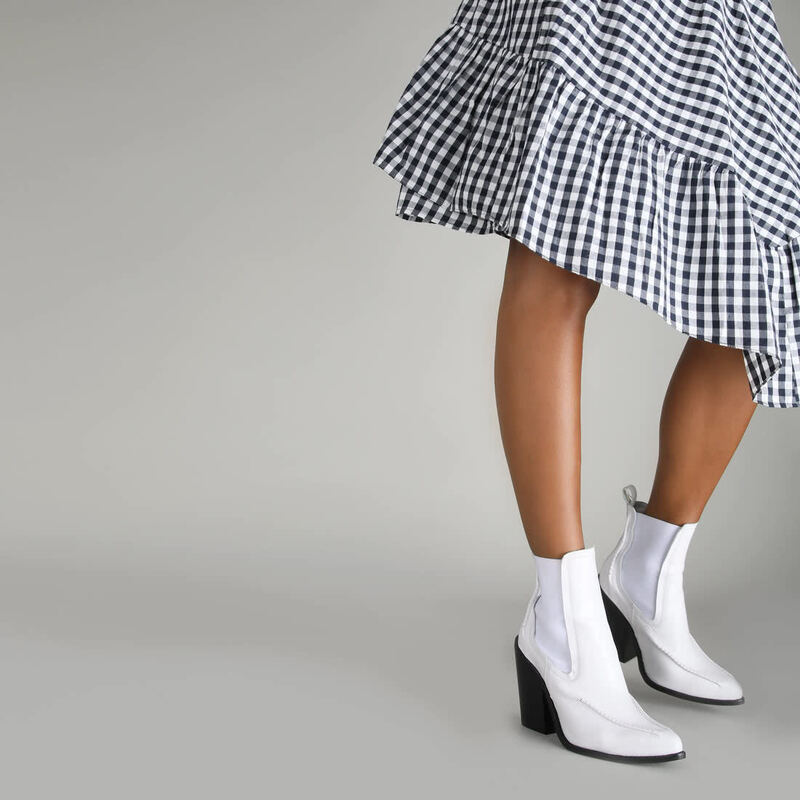 The hottest colour trend for boots: clean white! 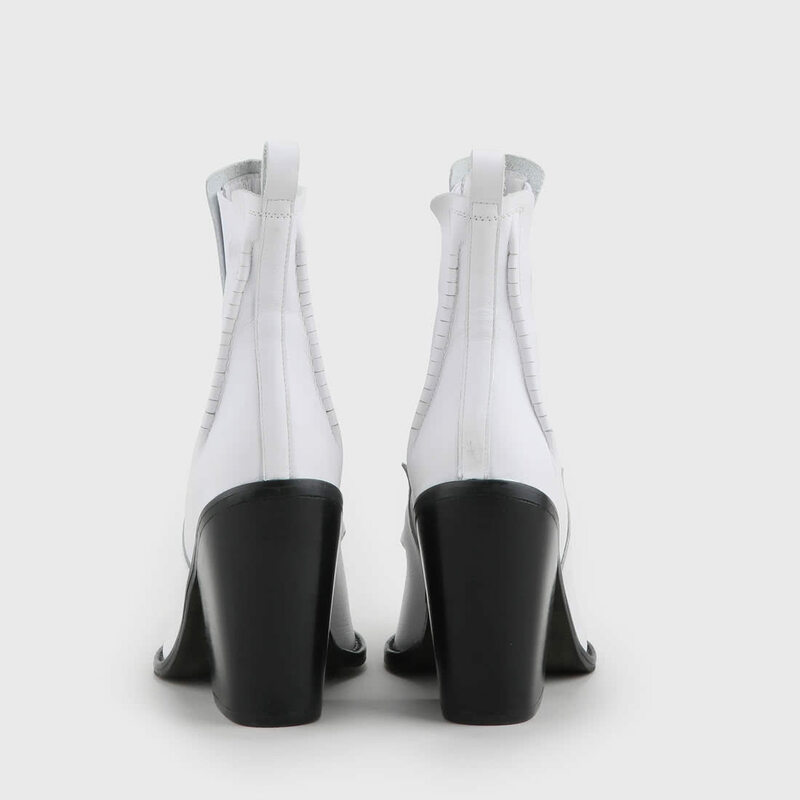 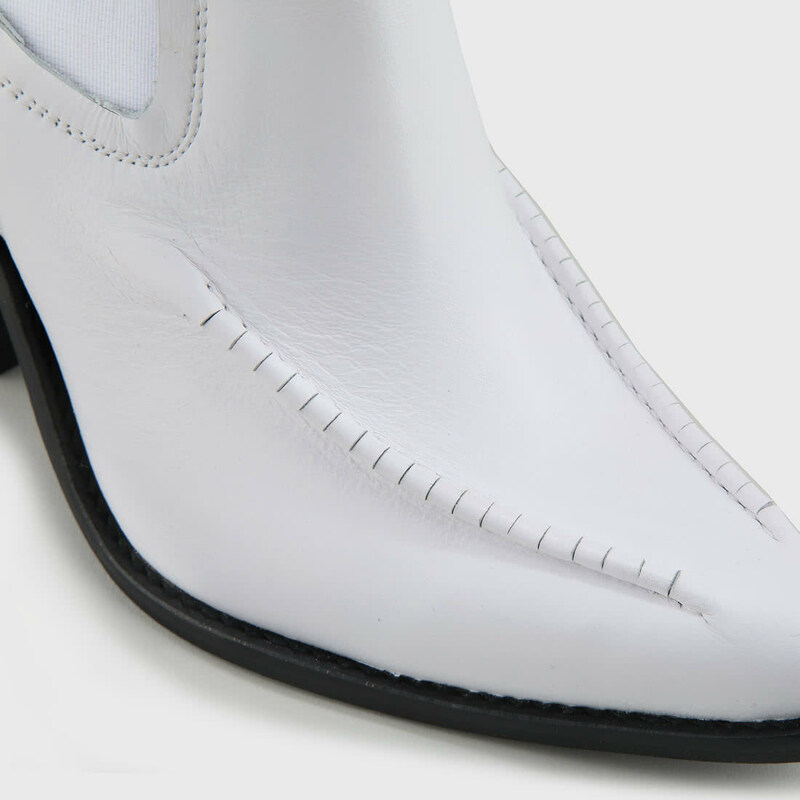 White looks are especially fashionable when combined with some black contrast, just like these Bali ankle boots. 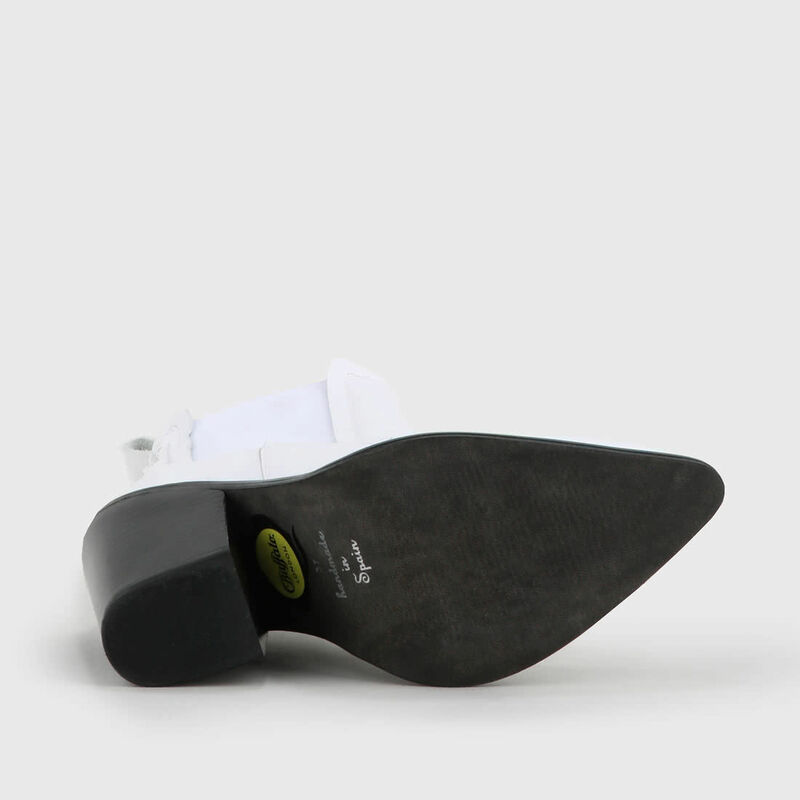 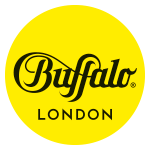 Made with high-quality Nappa leather and strech side panels, they also are a pointed toe, which makes for a modern Western look and is ideally rounded off by the tough black block heel.